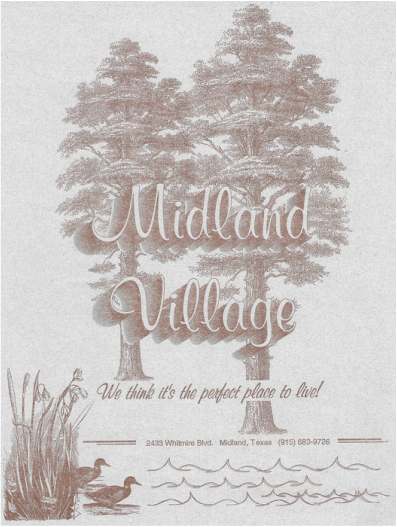 Celebrate the richness and comfort that has been created for you at Midland Village. Beautifully landscaped grounds complimented with custom designed interiors and features you would expect when buying a home. In each unit you will find all electric appliances: dishwasher, disposal, refrigerator, oven and microwave oven! There's the wet bar with wine rack and a fireplace. Walk-in closets make the large bedrooms feel even more spacious. For home-like convenience, there's a locked storage room off the patio; washer/dryer connections and central heat and air conditioning. Additionally, every unit comes with a private, fenced yard! The Village... a special place for special people to call home!